The SPGQ’s (Quebec Government Trade Union) mission is to defend the social and economic interests of its members. 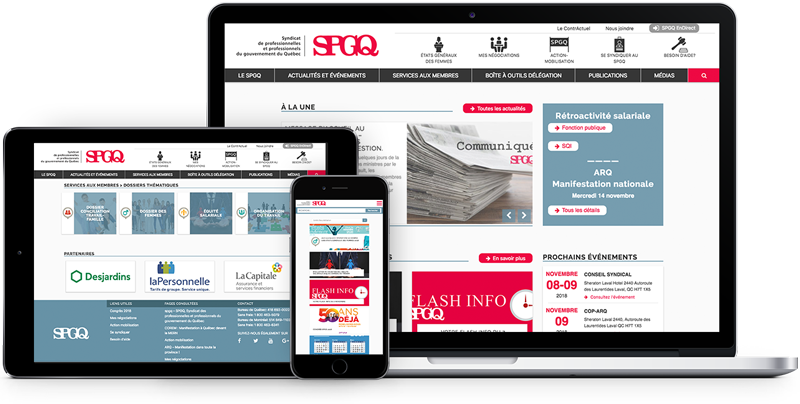 Wink Strategies has been supporting the SPGQ since 2015 on different projects, from advertising a campaign to promote its members to redesigning its corporate website. – Create a dedicated web microsite for the short videos produced, separate from the rest of the SPGQ’s communications. – Develop a media strategy to maximize the reach of the campaign. The idea was to broadcast an introductory video on various media platforms which leads users to the microsite, where the other videos are hosted. The campaign aired on television, but also heavily on the web via YouTube’s InDisplay network, advertising on relevant media networks, or by paid advertising on social networks. With an already existing committed and responsive community, social media management was of capital importance. 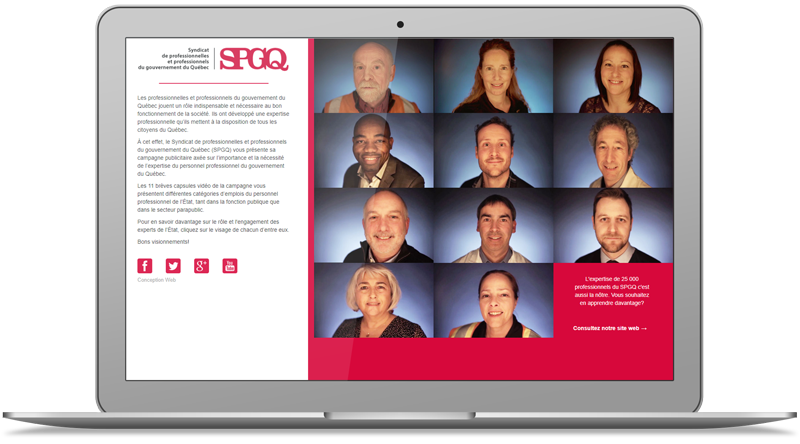 The goal was to create an environment suitable for interaction, while promoting the daily work of SPQG members. – The directory tree was revised to provide a structure that fosters better understanding of the content of each section and make it easier to browse. – The web design was then developed for each page, for desktop and mobile use, all while respecting the graphic charter of the union. – Lastly, the website was developed on WordPress, and then put online after content integration.